Why Refer to Our Practice? Our new Kodak 9000 3D with focused beam technology. We are the first to have and use one in the San Francisco Bay Area. Our new Kodak 9000 3D is an extraoral imaging system that aids in the diagnosis and treatment of complex endodontic cases. 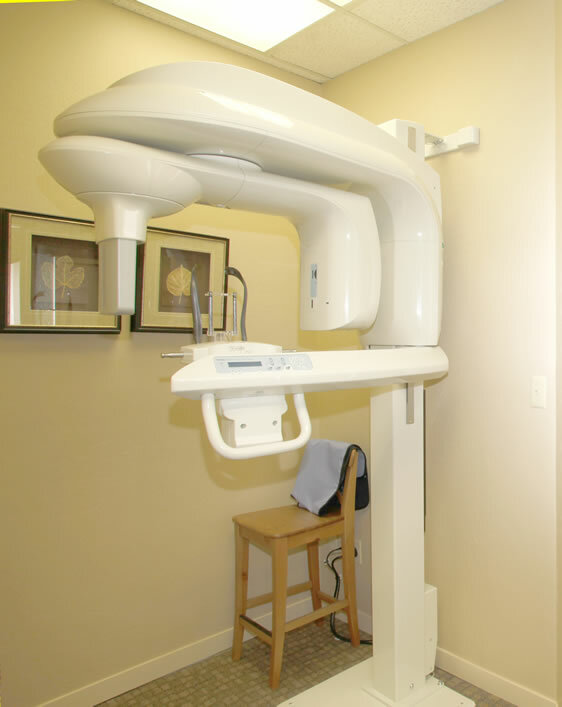 The system’s advanced CMOS detector produces low-dose, high-resolution 3D CBCT images. In the 3D mode, the Kodak’s 9000 3D’s unique localized field of view limits radiation while providing volumetric studies of small areas of the jaws and supporting structures. Reconstruction of the images using a voxel (VOlume piXEL) size of 0.076 mm results in high-resolution images for more accurate diagnoses and improved treatment planning. 1.) Precise visualization of dental structures in their actual spatial representation. Displaying axial, coronal, sagittal, and cross-sectional images, the unit provides 3D reconstructions that accurately depict structures in their actual relationships to improve diagnosis. 2.) Radiation that is more than 100 times less radiation than a medical CT scan. 3.) Reconstructions of 3D images in under 40 seconds, with real-time viewing of the image as it is being recorded. View actual cases performed by Dr. Jaber by clicking HERE. Images are intended for Dental Professionals only.